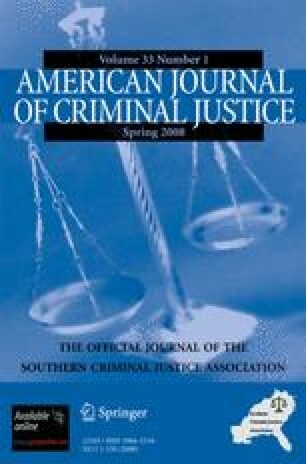 Despite the burdens that students and institutions assume when underwriting educational careers, very little is known about completion rates, risk factors, and successful strategies of criminology/criminal justice (CCJ) graduate programs. Consequently, the present study tracks 287 master’s and 70 doctoral students who entered the Florida State University CCJ program during the 1991–2000 academic years. Almost two-thirds of this cohort earned an advanced degree. Younger students with higher GRE scores were more likely to complete the master’s program. Successful doctoral degree recipients tended to have lower GRE scores, be non-White, and earn their master’s degrees in-house. In terms of time-to-degree, it took over two years to earn an M.A. and slightly more than six years to negotiate the Ph.D. Implications are explored for the program, the university, and the discipline. American Economic Association. (2007). Universal academic questionnaire. Retrieved on August 6, 2007, from http://www.vanderbilt.edu/AEA/UAQ/index.htm. Association of Doctoral Programs in Criminology and Criminal Justice. (2007). Association of Doctoral Programs in Criminology and Criminal Justice. Retrieved on June 18, 2007, from http://www.adpccj.org. ISU. (2007) ISU NRC Ph.D. program ranking project. Retrieved on August 9, 2007, from http://www.vpreserch.iastate.edu/nrc/taxononmy.html. National Research Council. (2007). The National Research Council. Retrieved on July 8, 2007, from http://www.nationalacademies.org/nrc. Northwest Regional Data Center. (2006). Infrastructure. Retrieved May 15, 2006, from http://www.nwrdc.com/Infrastructure.htm.